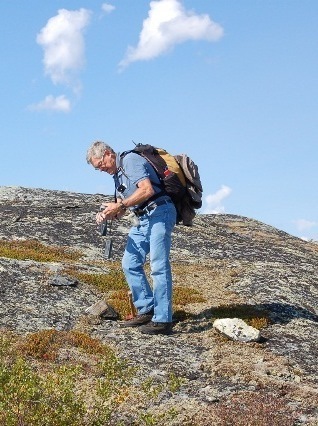 This trip is a real treat for the rock hound and geology buff in the group but others will enjoy the opportunity to see the ecosystems of the Boreal and Arctic regions meet on the flight north and the chance to walk on the Barren Lands at the site of the world’s oldest know rock outcrop once we reach the Acasta River. The Acasta River is 306 kms (190 sm) north of the City of Yellowknife. You will get to experience flight in the north as so many prospectors, geologists, and adventures have in the past on board an iconic de Havilland Canada DHC-2 Beaver Floatplane. Everyone gets a window seat and from your window you will be able to see the numerous lakes and wetlands that have been carved from successive waves of glacial erosion and those which conform to natural depressions of Precambrian bedrock that forms the Taiga shield and dates back to the earth’s earliest days. 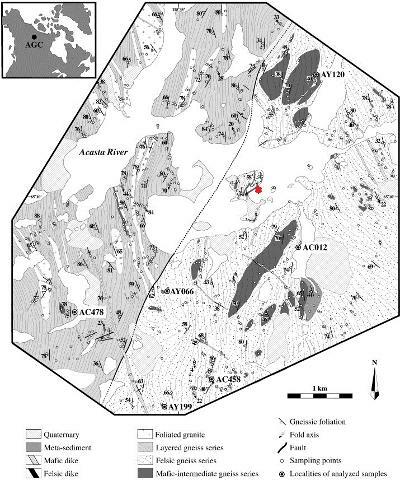 The Acasta Gneiss is a tonalite gneiss. The exposed rock body is the oldest known intact crustal fragment on Earth. The rock deposit is believed to be 4.031 to 3.58 billion years old. The outcrop was found in 1989. In 2003 a team from the Smithsonian Institution collected a four ton boulder for display. Make sure to bring your camera and clothing appropriate for the day. A selection of inflight snacks and beverages will be provided. Please feel free to pack and bring with you your own meal and/or snacks. The base tour duration is between 5 ½ to 6 hours with 1 ½ to 2 hours available to explore on the ground. You may also consider chartering the aircraft for the day under our private day charter package or including a stopover at Acasta as part of an Arctic Circle tour. As with our other tours you will get to experience flight on one of our iconic de Havilland Canada DHC-2 Beaver Aircraft not only providing you with a raven's eye view of Great Slave Lake but also providing you with the experience of taking a step back in time and enjoying a flight onboard a classic aircraft. Our Beaver aircraft feature comfortable interiors, enlarged windows for easy viewing and aviation headsets for all guests to provide easy communication between guests and the pilot. Each guest is will be seated at a window seat. Approximately 5 ½ to 6 hours, dock-to-dock.